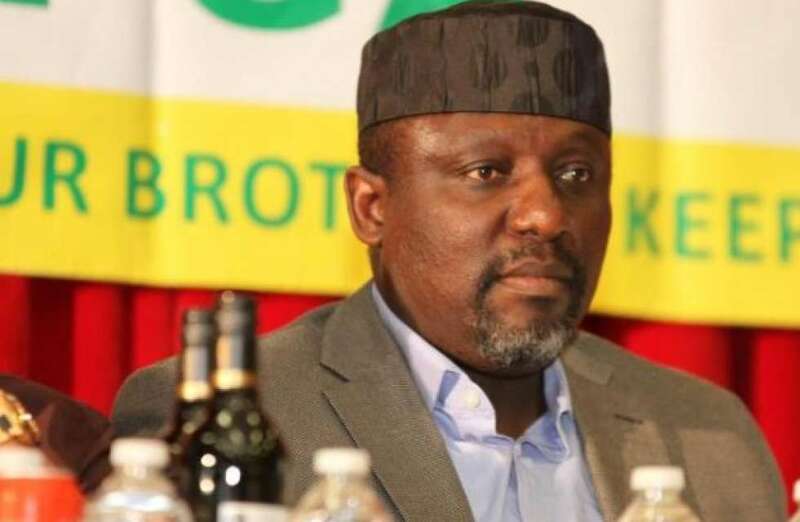 IMO 2019: ‘Rochas Okorocha’s Original 27’ playing to the Gallery? Hate him or like him, Rochas Okorocha had remained dogged and consistent in pursuing his convictions. His tenacious pursuit of the agenda of moulding the statues of African Heads of state; his past and present appointment of family members into public offices even in the midst of widespread criticism, are testaments to his doggedness. 1. Those who do not have the benefit of the knowledge of his antecedents. 2. Those who knew his antecedents, but have not paid close attention to his modus operandi. 3. His associates and/or stooges who, knew his antecedents, know his modus operandi, hoped to tango with him but fell out with him when things went sour. 4. His associates and/or stooges who knew his antecedents, know his modus operandi, collaborated with him, still collaborate with him but in the wake of growing unpopularity suddenly put up a staged show, insinuating a fallout with him all in a disguised bid to curry public favour and support. Majority of those who criticize Okorocha for his recent statue moulding spree fall into either or all of category 1, 2 and 3. These observers and critiques are either not aware, or did not remember or chose not to remember that the mounding of (potential) 55 statues of African Heads of States were not the first sets of statues governor Okorocha molded. These recent statues were preceded by the moulding of Owerri ‘City Gates’ statues. Then came the second set of 55 statues, starting with the moulding of the Akachi ‘Towers’ statue. Then came the moulding of the ‘Original 27’ Statues: the 27 ‘members’ statues of Imo State House of Assembly. Then he moulded the other 27 ‘hospital’ statues in the 27 LGAs of Imo state. Or were those other erections not considered statues? Although the original 27 may want us to believe that they belong to category 3 of Okorocha‘s observers, however, in my considered view, majority of the ‘original 27’ belong to the 4th category of governor Okorocha‘s critiques. (1. Shunning governor Okorocha‘s planned presentation of the 2018 appropriation bill on the floor of Imo state House of Assembly purportedly due to the assertion that the governor has not considered their welfare requirements and also the claim that the governor does not treat them with courtesy. 2. Removal and reinstatement of the clerk of the house. 3. The subsequent resignation as principal officers by the major leader, the deputy majority leader and the chief whip while still retaining their membership of the state assembly), is laughable. How can statues expect courtesy? These statues were created, funded and erected by governor Rochas Okorocha much the same way he is creating and erecting the current statues of African Heads of States. Were some of them not on the same floor when the governor got approval for a 4 year rolling budget expenditure? Were they not there when the euphoria of ‘Go and do’ (the catchy phrase for: ‘Go and execute a contract job’ which involved contractors executing jobs without due diligence or due process or supervision, leading to the execution of shoddy jobs)? What have they said or done in the wake of recent developments? I know governor Rochas Okorocha personally. The original 27 lack the capacity, the capability and the political structure to challenge him. Safe for a few like Ugonna Ozuruigbo, the deputy speaker (who has chosen the more honourable path of remaining loyal to his principal come rain come shine) and Uju Nwadiwe (Igolo Njaba), the original 27 lack the political good will from home base to withstand Okorocha‘s counter measure if this was to be a real political tussle. The original 27 may be anything, but they are not politically naive not to have considered their move end to end. Even if the original 27 fall into category 3 of Okorocha‘s critiques, what impact would a staged boycott or resignation as principal officers ( while still remaining as members of the house) have on the governor? The world of politics is endlessly complex, it is an ever spinning spiral of deceit and consistent cycle of conspiracy, perpetuated by grand masters of disguised imperialism and fettered by the parochialism of the electorates. WE believe that the shenanigan show of resistance by the original 27 is nothing but a well calculated, carefully crafted and disguised political grand scheme orchestrated to blindfold the public and curry political favour and support for their 2019 political interests and ambitions. There is no crack in the wall. Thankfully, WE know their plans. WE know their tactics. Such grand scheme succeeds only in the wake of complacence or complicity of the masses. WE have spoken up through this piece. The ball is in your court to act to bring the desired REAL CHANGE in 2019 – The positive change. WE urge all patriots and stakeholders in the 27 LGAs in the state to rise up and speak words of truth through our choices in 2019. Let the original 27 continue playing to the gallery. WE must not be fooled. WE must build the ‘new’ normal. WE must effect the positive change in 2019 not by fighting the ‘old’ original 27. WE must effect positive change in 2019 by focusing on ensuring that only tested, trusted and competent men and women would be voted to occupy the State Assembly and indeed any political office in Imo State in 2019.